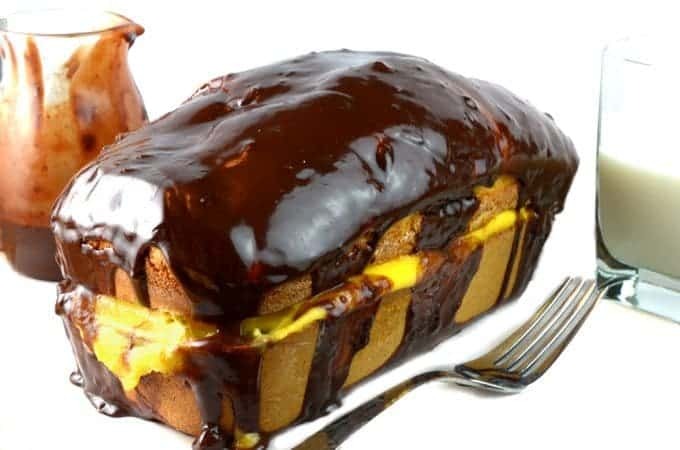 Boston Cream Cake Recipe – If you’re looking for a super-simple and super-delicious dessert recipe this Boston Cream Cake is your ticket to a chocolate dreamy bliss. Like many of you reading this, we are a busy family of two working parents and a handful of kids who love to eat. Kitchen shortcuts are a treasure to us and although there just don’t seem to be enough of them, once in a while we stumble across one. Yes, this Boston Cream Cake Recipe uses a few short cuts but we are not apologizing. In much the same way, there were no apologies from our kids when they cleaned up every last crumb of this beauty. Some shortcuts are definitely worth it. 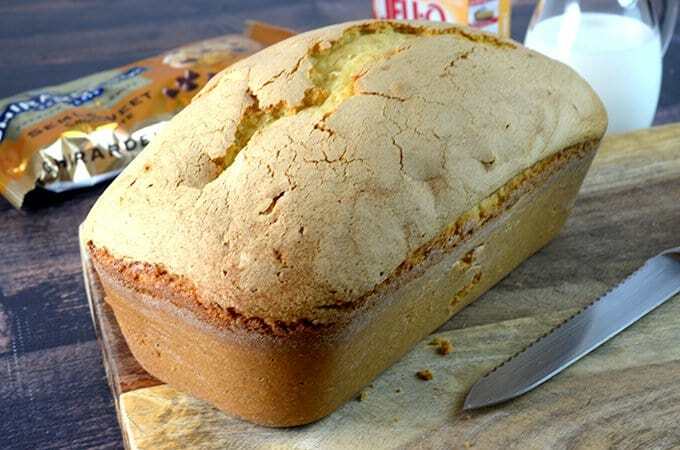 Make a pound cake mix from a box, using a loaf pan. 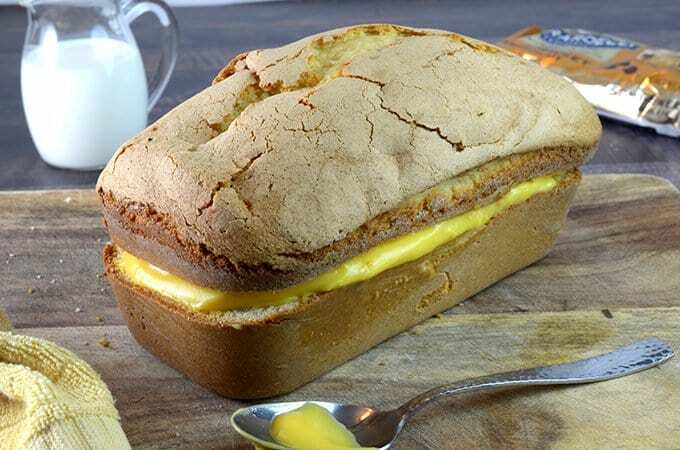 Slice the cake in half, lengthwise and spread a thick layer of vanilla pudding on top of bottom piece. Place top of cake on layer of pudding. 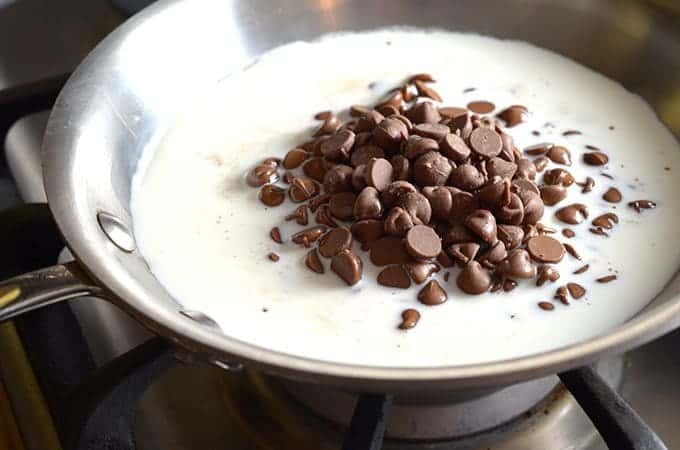 Make a ganache using heavy cream and chocolate chips. Grab a fork and a cold glass of milk. Generally when it comes to food, I’m pretty much a purist at heart and especially when it comes to baking. We make plenty of cakes from scratch but every one in a while, we might just take an easy and delicious shortcut. 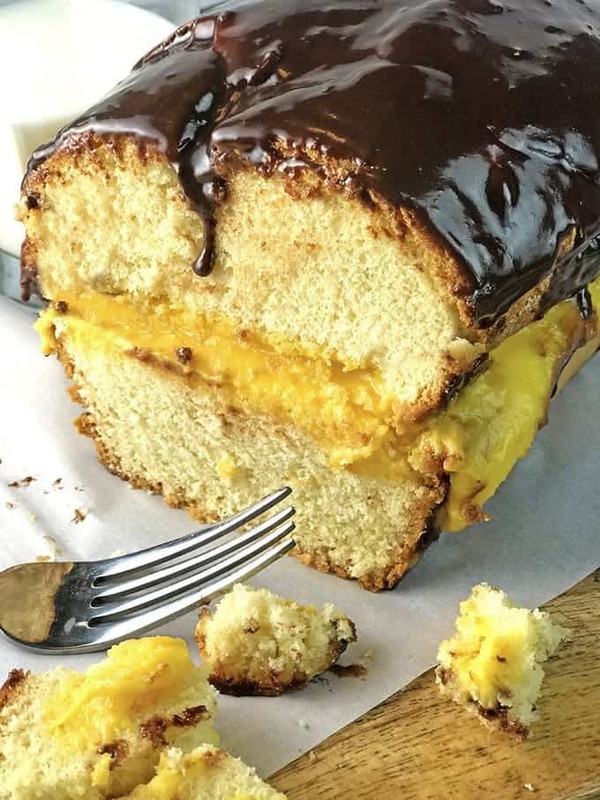 Have a taste of this Boston Cream Cake Recipe and I think you will understand perfectly. Prepare pound cake as directed. If frozen, defrost and thaw. Make pudding in a large bowl using milk and pudding mix, as directed on box. 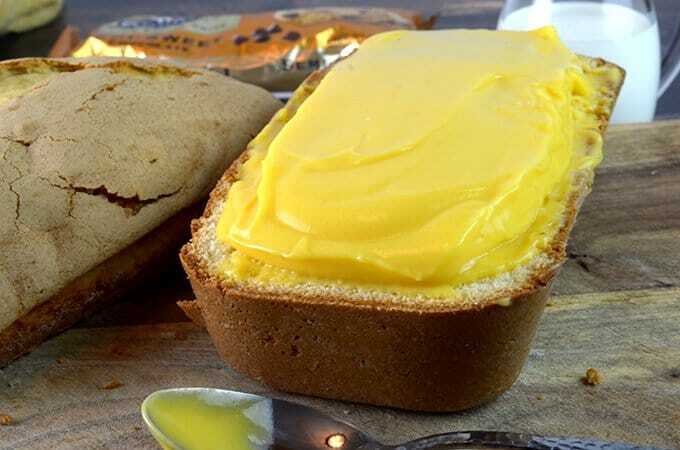 Use serrated knife to slice pound cake in half lengthwise. Then spread a thick layer of vanilla pudding on top (you may have some leftover.) Place top of cake on top of pudding. Make ganache by heating heavy cream in sauce pan until it just begins to bubble. Add chocolate chips and stir until smooth and well-blended, about 3 minutes. Pour ganache over cake and then place cake in fridge to allow it to harden. Slice and serve. I am all for shortcuts, especially when it comes to sweet treats! That glossy ganache dripping from the cake made my mouth water! 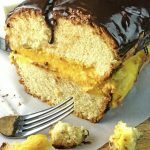 I have never heard of Boston cream cake before but I am sold, this recipe looks amazing!!! Oh. My!! Boston Cream Pie is one of my absolute favorites. I am loving this easy cake version! Perfect and easy to put together for some company, but it looks absolutely delicious! That chocolate drizzle! Wow. And so few ingredients to pull together. 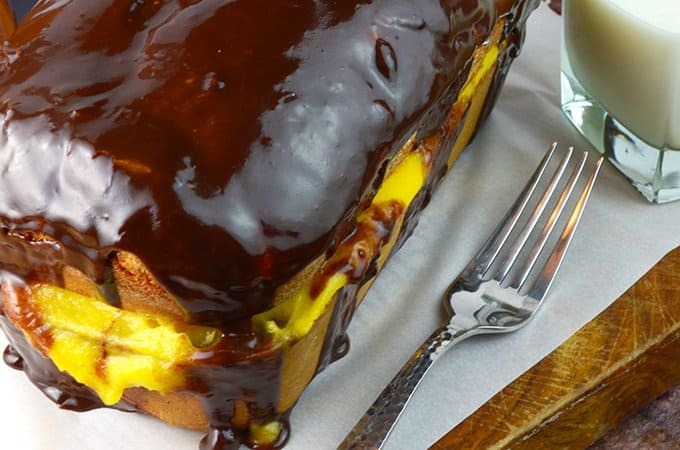 I’ve never eaten a boston cream pie- but it looks like a giant eclair! Now I want dessert!!! My mouth is watering! Those photos created a total drool fest. Bookmarking this to definitely try. Oh My God are you serious? 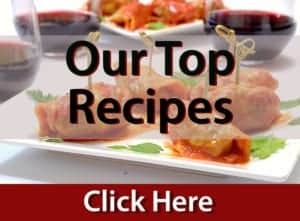 I LOVE Boston Creme Donuts and my keyboard just started to rust from all the drool falling reading this recipe and salivating over the pictures!! I absolutely LOVE the idea behind this! 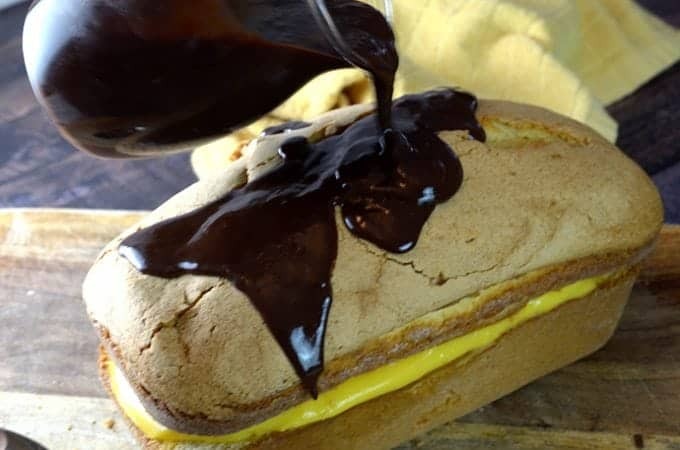 Boston Creme Pies are one of my favorite desserts but can be a bit time consuming and difficult to make….this looks so simple! And delicious! This cream cake looks out-of-this-world good. I would do anything to have a slice of it with a cup of coffee right now! Wow this looks really incredible. Love the cream stuffing and of course chocolate glaze. Just yumm! Oooohhhhhh Dan. I will not be apologizing for the shortcuts when I binge eat this entire THING—forget the kids! LOL, I kid (see what I did there?). 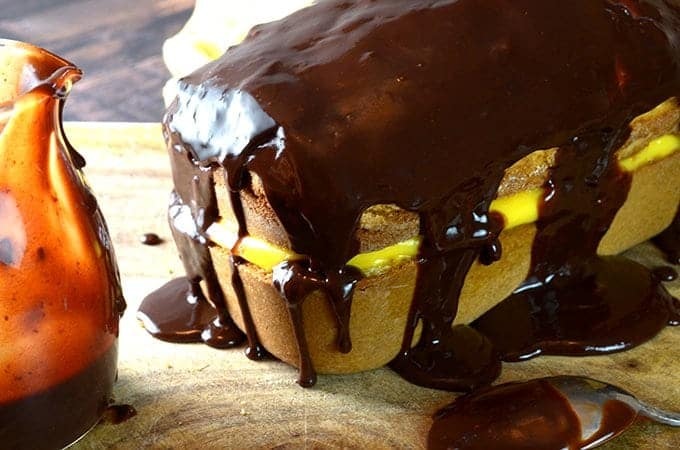 Boston Cream…ANYTHING…is one of my favorite things on the planet, and the fact that you just showed me an easy way to make it is…very, very dangerous. Seriously, though, this looks FABULOUS. 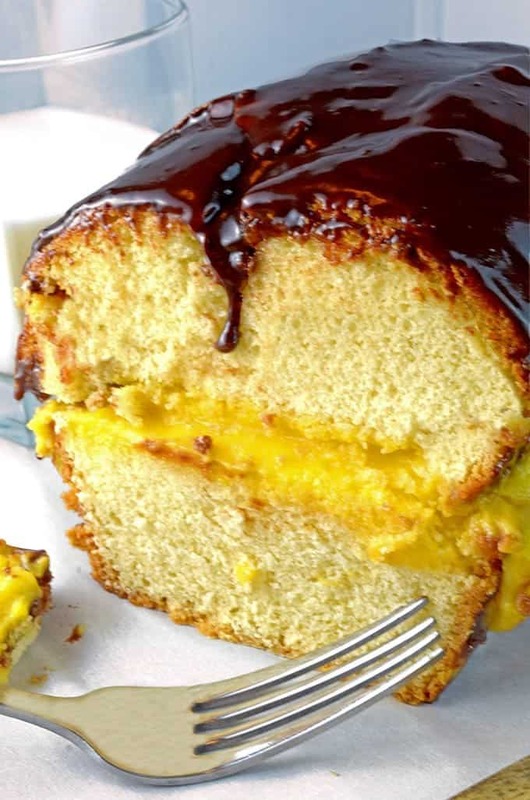 I’ve never done Boston Cream with a pound cake before (or in a loaf pan) – nice switch up! This happens to be my Dad’s absolute favorite dessert — I made him one for his birthday this year — it was GINORMOUS! Wow look at all that ganache. Love the look of the cake. 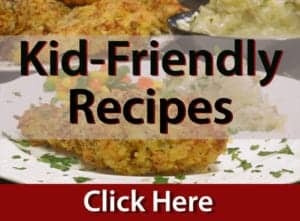 My kids will love thsi. This looks amazing, I bet the ganache is so sweet and delicious. I am hoping to go to Boston late in the year too.